From time to time, you hear a story about languages that touches your heart. The world is full of people who love languages, and yet how often does someone quit a high-paying job, travel the world, and devote themselves to their passion? How often do they persist with their dream of learning languages, even when the money has run out, and they end up stone broke, sleeping on a friend's sofa in Paris? And how often does a journey like this result in starting a business and creating the life you always dreamt of? Well, for Brian Loo Soon Hua from Malaysia, this is exactly what happened. And create a lucrative new job opportunity for myself. I grew up in a very traditional Malaysian family and was saddled with certain responsibilities and expectations from the moment I was born. I was expected to do well in my studies, help look after my younger siblings, assist my parents in traditional rites and rituals, and help organise all the family celebrations. In adulthood, I was expected to find a well-paying job, get married, have children and eventually take care of my parents in their old age. The constant emphasis on memorising and rote-learning, and the incessant drills, drove me crazy. I constantly felt as if my young mind was being forced into some kind of dull, sterile, unnaturally shaped mould. To make matters worse, I had a bad stammer well into my teens that I tried to hide by speaking quickly, consciously skimming over words and syllables in the hopes that whomever I was speaking with could somehow make out what I was trying to convey. Certainly not a good idea! I would dread being called out by the teacher to read aloud from the textbook during class and subsequently being made fun of by my classmates for the rest of the day. I still struggle with public speaking, even now. The one spark in all this gloominess was my secondary school English teacher who noticed that I had a knack for learning languages. She encouraged me to take part in elocution contests (gasp) and to try my hand at writing and reciting (more painful gasps) poetry in English and Malay during class! It took a lot of effort on my part, but I have her to thank for a lot of what I had achieved later on in life. Ironically, I also happen to think that my stammering actually played a part in facilitating my language-learning. For example, those made by pressing the lips together (I had not yet learnt the term bilabial) – like “p” and “b” – as well as syllables that began with a sort of slight break (what I now know to be the glottal stop, a fairly common sound in Malay). Even as a child I had already begun to become consciously aware of the different parts of my mouth, the various tongue and lip positions and the different sounds they made. 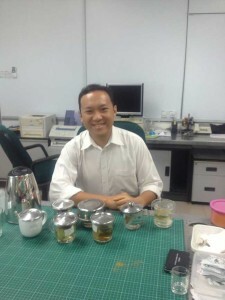 I recognised and mimicked accents easily, and could effortlessly hear various subtle differences in the pronunciations of my friends who were of Malay, Chinese or Indian descent. To cut a long story short, somehow I managed to do well enough in school to secure a place in University. I opted to study food engineering, because like all good Malaysian children, I was instilled with the idea that financial security was paramount. With the boom in food production and manufacturing in my part of the country I would be hard-pressed not to find a decent job later on with the education I had. I was right, just weeks after graduation I managed to secure an engineering position at a large Japanese-owned seafood processing factory, during an economic recession at that. Working life for me was pretty good to say the least. I was the process engineer for a Japanese multinational food company and within a few years, had moved on to work for a certain top French-owned dairy conglomerate as production executive, with a hefty salary increment to boot. I was in charge of a crew of over 70 machine operators and technical staff. Life was good in terms of material comforts. What it lacked was meaning. Inside, I was chaffing from the daily routine. I went to work early, went home late. 14-, 15-hour days were normal and I often had to work during weekends. I had to deal with office politics, all manner of staff disciplinary problems, endless stressful board meetings and constant battles with my superiors over the most trivial work-related minutiae. I hired and fired more people than I could count. I constantly felt physically tired, mentally frustrated and spiritually empty. So after seven years, I was ready for a change. After seven years, I was ready to put everything behind me and run away. The further away the better. Handing in my resignation was easy. Well, that was the hard part. My friends and family thought I had gone insane! Why would I want to leave the security of my present life and head for unknown waters, to a places where I knew no one, did not speak the language or know the local culture? Remember, I was born into a culture where financial security and status was of utmost importance. “That is precisely the point!” I argued. Leaving my homeland to learn other languages. To immerse myself in other cultures. This was a life-long dream for me. In June 2012, due to a lucky coincidence (is there any other kind?) I had a 3-month stint as a Malay language teacher at the Alliance Française, teaching Bahasa Malaysia to French-speaking expats. The plus side was that I was entitled to free French lessons! I thought this was a great opportunity to improve my French, which I had already started to learn (in spite of my former crazy schedule) from French colleagues during my corporate days. One of the benefits of having worked for a multinational company, was the huge number of colleagues from over the world. Malaysia has to this day a huge Gastarbeiter population, especially in the manufacturing sector, and at my former workplace I was forced to interact with native speakers of French, German, Italian, Hindi, Nepali, Tagalog, Burmese and Khmer on a daily basis (besides with the usual Malaysian Malay, Mandarin and Tamil speakers). But for us, it was an amazing opportunity to learn a plethora of languages! In early September 2012, I bid everyone farewell and hopped onto the first bus headed South. 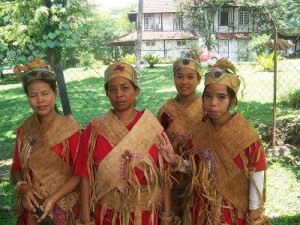 A close friend of mine had been involved in volunteer projects in an indigenous Orang Asli community in the hills of central Malaysia, and had need of volunteer English and Malay language teachers. I had to share living and sleeping quarters with seven other volunteers in a tiny village hut with an outdoor toilet. The food was simple, mostly boiled rice, vegetables, instant noodles and perhaps a simple curry occasionally supplemented with meat from a slaughtered animal we bought from one of the families living nearby. It was chilly at night and during the frequent tropical storms it seemed like every corner of the roof was leaking. The tiny government school allowed us volunteers to use the classrooms for teaching when school was not in session. I loved the freedom and lack of strictures. I spent my days teaching English and Malay to about 30 eager young students ages 6-10. Also, I never missed the opportunity to learn some of the language of this tribe, known as the Semai. After 2 months I was ready to wander again. So taking the bus north, I headed to neighbouring Thailand. My travels took me to a myriad of places. After a few weeks of backpacking all over Thailand I decided to spend a couple of months in the area around Krabi, in Southwest Thailand … far away from the hustle and bustle of Bangkok. Ironically, I would be teaching Malay to Thai Muslim village children from families who had abandoned the language a generation ago. 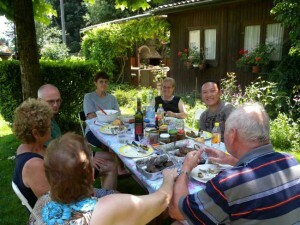 Sometimes, I stayed in modest village houses, hosted by kind locals. Other times, it was cheap backpacker hostels. Some days, I would just spend the whole day sitting under a tree on a stretch of beach in Ao Nang, contemplating life. Other days, I spent hours chatting away with tourists in English, Mandarin, Japanese, French, Italian, Hindi … whatever language I heard around me at that very moment. My life was now full of “maybes” and “sometimes”. All the former structures were beginning to fade away. I found it completely liberating. But the time had come for me to wander again. In the middle of winter, I flew to London from Bangkok … not a very wise decision! 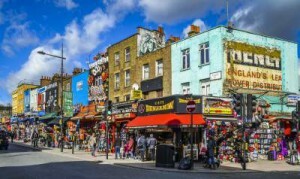 I spent weeks at my favourite hostel in Camden, braving the cold during the day to explore this fantastic city and take in the sights and sounds. The vibrant energy of London was invigorating! 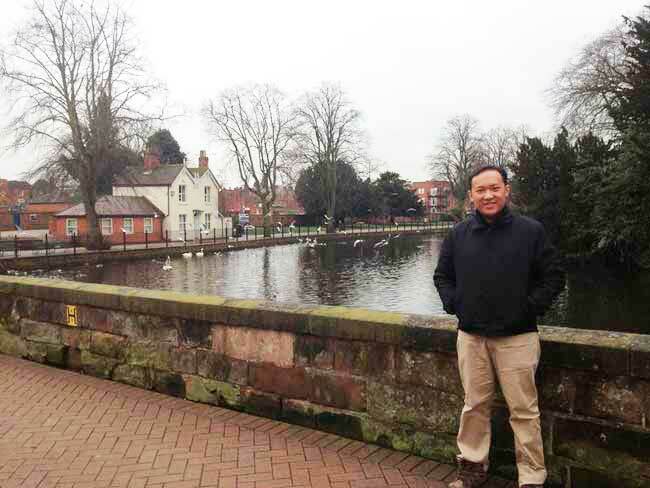 I spent time exploring the countryside, staying for long periods of time with Malaysian friends in Sittingbourne, Kent and later in Canterbury. I often ended up in the strangest of places! Have any Londoners heard of, much less been bothered visiting Barking? I have. I journeyed all over the UK … Workaway and Couchsurfing being my metaphorical best friends. I volunteered at guest houses and hostels. I worked as a Mandarin tutor to a wealthy English family. I even accompanied well-heeled Chinese tourists around Birmingham as a an unofficial interpreter and guide of sorts. It was wonderful. But feeling the wanderlust once again, my eyes were now set on the Continent. In early 2013, I arrived in Valencia for Las Fallas. I squatted at houses belonging to old friends – long-time expats from the Netherlands, UK and Germany, some of whom were from my network of ex-colleagues, others from my circle of family friends. I spent time wandering around Javea and Alicante, and all the tiny towns on the east coast of Spain, before heading South, and then North. I visited areas both touristy and well off the beaten track. My journey took me to the Spanish side of the Pyrenees, in a mediaeval town called Alquezar, exploring the ruins of old castles and churches. From there I hitchhiked to Pau, on the French side of the mountain range, spending weeks Couchsurfing and Workawaying (are those even verbs in English now? ), before moving on to other destinations. I hitchhiked and travelled by bus and train. I had no actual direction. I was guided purely by instinct and whim and fancy. I remember helping a local friend selling spices at weekend markets in the little towns of Andernos and Lège-Cap-Ferret, on the Bassin d’Arcachon, just a couple of hours from Bordeaux. I sold mixed spices to wealthy French retirees and English tourists. I spoke French, English and even Japanese to whomever I came across. I remember walking among the stalls talking to people selling everything from macarons to cheeses to crêpes to cheap China-made clothes. Wherever I went, learning languages and conversing were my top priorities. My world was now one of uncertainty. What was certain was the need for constant communication. I talked to passing tourists, locals, students keen to practice their English or Chinese (an increasingly common language choice for students in Europe) and even making small talk with beggars on the streets of Bordeaux. My meals were meagre and simple, whatever I could afford to fill my empty stomach. Couchsurfing and Meetup became my usual means to meet like-minded people, other travellers eager to get in touch with locals, locals keen to meet foreigners, students wanting to practice languages. There were also plenty of drifters and complete misfits who had no idea what they were doing (I could relate to this particular lot), together with all manner of people looking companionship in one form or another. It was during this time of non-stop travelling that I began reading about linguistics. I remembered downloading (whenever I had access to wifi, of course) the works of Whorf and Sapir, Comrie, Chomsky, Pinker, Boas, Krause and other linguists. One of my prized possessions (as much as a digital copy saved in my hard drive could be considered a possession) was a copy of Gladys A. Reichard’s Navaho Grammar. I read about phonology, morphology and syntax of a wide range of languages from across the world. Even nowadays, while I consider myself well-read on the subject of linguistics, but by no means am I an expert. I slow worked my way up the Atlantic coast of France and eventually ended up in Paris. From then on everything was a total blur of half-planned of trips to neighbouring towns by bus or train. 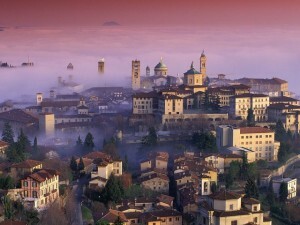 My Couchsurfing and Workaway eventually took me to Bergamo, Italy and next, to Clusone and Albino, picturesque ancient towns right at the foothills of the Italian Alps. 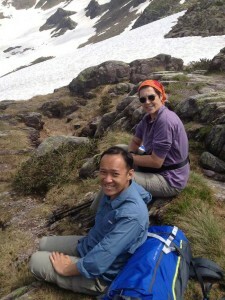 I originally chose that destination because a close family friend who worked in Malaysia had family living in the area. Being with familiar faces again was a great feeling and it was nice to sit down to finally sit down to my first real dinner in ages. The matriarch of the family, Delfina used to work in Geneva and spoke fluent French, kindly switching back and forth from Italian whenever I failed to understand a complicated sentence or misunderstood some vocabulary. Their little Alpine community was close-knit but the beautiful was often swamped by wealthy Milanese tourists both during the summer months who came by the busloads to escape the heat of Milan and again during winter for the ski season. Locals there were accustomed, even immune to outsiders, though they rarely encountered one who came from as far, far away as I did. I spent the next several weeks wandering around the Aegean, first spending some time in the Balkans before heading for Athens and then crossing into Turkey. Thanks to my Malaysian passport, I was allowed to remain in the Schengen Zone for three months but had to leave after that time was up, only to be allowed to return after another three months. Turkey would become my home for those months when I had to leave the Schengen area. By the time I reached Turkey of course I had very little money left. Already left with very little in the first place, with nothing but a backpack to keep my meagre belongings and a small case for my laptop, I had to rely on my network of local Couchsurfer friends whom I encountered on my wanderings in Europe. I Couchsurfed in places as widely different as Sarıyer, right at the northernmost corner of Istanbul overlooking the Black Sea, and Kuzguncuk, a cozy, pretty little formerly Greek and Jewish village on the Asian side. I began to see this incredibly vibrant country from the perspective of a local, rather than a tourist. 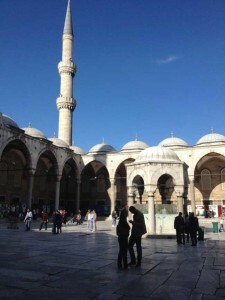 I journeyed by bus to visit the great cities of Bursa and Izmir and spent some time drifting about in Anatolia. In a restaurant in Cappadocia I even befriended a small team of Japanese archaeologists visiting one of the immense sprawling network of tunnels belonging a massive old underground city. Sometimes during my travels I had no choice but to stay in filthy, dingy hostels full of stoners and hippies. I vividly recall staying for almost a month at a ridiculously cheap hostel on the edge of what I would call the bad side of Tarlabaşı. 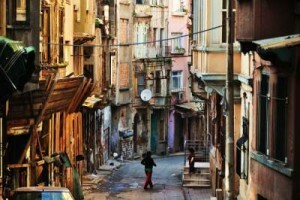 Close to the famed Istiklal Street, it was precariously wedged between a police station, a nightclub frequented by transvestites and transsexuals, and a poor conservative Kurdish immigrant neighbourhood down the street to the right. Riot police often gathered at that police station during many of the frequent demonstrations in Istiklal. Once, a careless young officer dropped his tear gas grenade (yes they were armed with those) by mistake while my friends and I were crossing by on the other side of the street. We could actually feel the painful sting of the gas from right where we were standing, at least 20 feet away. Yes, I was far, far away from home. But, je ne regrette rien, as Edith Piaf would say. There was absolutely nothing that I would regret about my amazing experiences. After the three months were up, I made my way back to Europe to continue my journey. For some mysterious reason, I would always end up back in Paris, time and time again. Indeed, months before, I had spontaneously bought my return ticket to Kuala Lumpur departing from Paris, perhaps stemming from a subconscious desire to see the city one last time before I left. However, going home wouldn't be that simple! 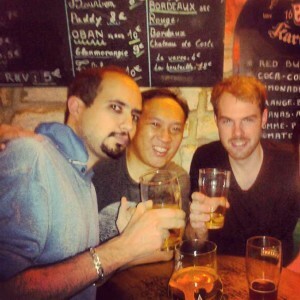 In Bordeaux, previously, I had befriended a brilliant young Parisian physicist whom I had met through (what else) Couchsurfing. My friend, like me, had decided to leave his stressful and unfulfilling job behind. 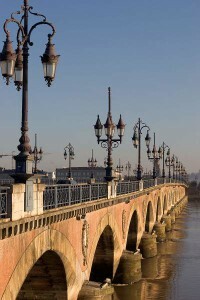 He was freelancing as a translator at the time and was completing a course in Bordeaux when he offered to host me at his apartment close to Pont de Pierre. Rarely had I ever met someone who had such similar opinions and ideas as myself. We shared a passion for languages, travel and culture. When I returned to Paris on the very last leg of my journey, just before my return flight needless to say, I had completely run out of money. Some people might judge me for my lack of planning, for my carelessness. But the truth was, for the previous seven years of my life I had planned everything. I planned the daily work schedules for 70 of my employees, I planned where they were to be stationed, the amount of overtime they were entitled to, what shifts they were supposed to work on, how many days of leave they were approved for … even what time they could go for their toilet breaks. I was sick of planning and micro-managing, and was revelling in the opportunity not to do so. I think I saw this whole process as an internal cleansing of sorts. I was consciously ridding myself of all vestiges of my former existence. I had given all my work clothes, ties and fancy shoes away. All symbols of my former existence were eradicated. But in terms of living conditions, I was in trouble! Back in Paris, a week before my flight back to Malaysia, broke and homeless, I managed to contact my physicist friend from Bordeaux. Luckily, not only had he and his wife returned to Paris, they were kind enough to let me stay at their place near Place d’Italie. In return I offered to cook Malaysian for them (this is what I call intercultural culinary diplomacy at its best). We should go into the translation business together. With our combined repertoire of languages, and immense experience in a variety of different technical fields, it represented a great opportunity for us. My friend had the additional benefit of having spent two years as a freelance translator. I found the idea intriguing. For once in my life, I would be able to use my language skills to earn a potentially good income. We set to work, brainstorming ideas on everything from a company name, to which online platform we would use to advertise ourselves. We discussed what sort of clients to target, and what fields of expertise we would market ourselves in. We chose the design of our website, and even decided how many versions of our site we needed, in how many languages, and so on. It was challenging for me, as I'd been out of a job for two year. It was not easy getting back into my “professional mode”, as I call it. But the effort was worth it. A couple of days before I left Paris, we contacted our first potential customer. Amazingly, we got hired immediately and we received our first project, translating a large user manual from French to Malay. I was so nervous before submitting the finished project to the client, I must have checked through the entire manual about 30 times! Things continued to improve from that point onwards. Now, almost two years later, my business partner and I are running our translation agency simultaneously from home offices in Paris, George Town (Malaysia) and Istanbul. We recently took in a brilliant young polyglot from Afghanistan as an intern and hope to impart our knowledge and combined experiences to him so that he will no longer have to live the life of a refugee. Do what feels right to you, and not what others say you should or should not do. If you are deeply passionate about something, and your gut tells you that by pursuing that passion you will come out a stronger and more successful person … you owe it to yourself to go for it! If you want to learn a new language, don’t be shy! Practise as much as possible, and don't be afraid to make mistakes. Many of the people I practised foreign languages with previously are now among my best of friends! If you need to take time off to grow and find yourself, just do it. I spent over two years wandering around learning new languages and finding out about my own true potential. But when you feel the time is right to make a fresh start, seize the day and make the most of it. I hope you enjoyed Brian's story as much I did! To see the fruits of his labour for yourself, check out Toledo Technical, the translation agency he co-founded. They specialise in technical and scientific translations with an emphasis on cultural competence. And you can see why he's perfectly qualified for that! Did you find this story motivating? Would you ever embark on a similar adventure? Let us know in the comments!